Surprise! I just returned from presenting some of my research at a conference to a union busting email from the provost. One of my personal favorite lines: “The education, not the financial support, is the goal of graduate study.” Buckle up kids, if you can’t afford your medications, rent, food or childcare — take heart! You’ve got the knowledge! 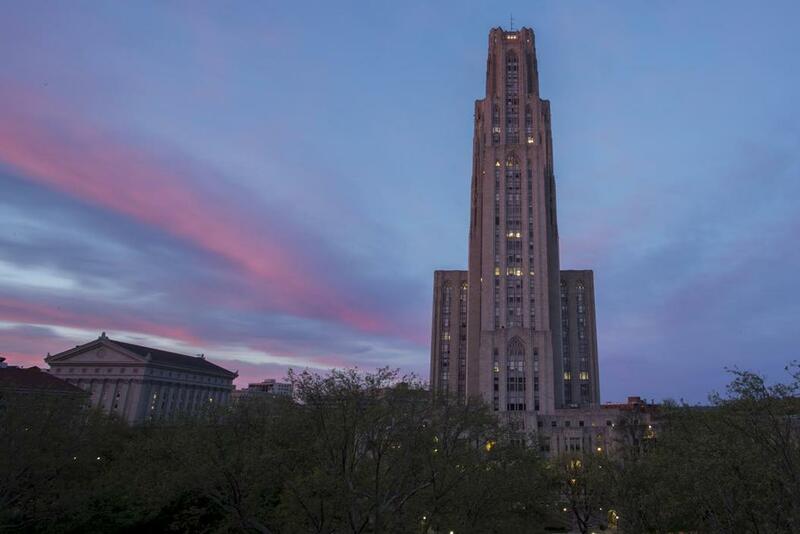 Provost Patricia Beeson makes more than $440,000 per year, and Pitt’s endowment is about $3.6 billion. Yep, with a B. That’s double CMU’s. The administration no longer has any idea what it’s like to live as a grad worker. If you were working in any other paid position, you should expect a reasonable wage for your work, health insurance to help keep you and your family healthy, employment protections like workers’ compensation coverage if you’re injured on the job, and a way to make a binding and formal grievance with your employer. As part of my organizing efforts, I have been talking to student employees all over Pitt campus. Pitt grad workers: did you know that grad students sexual harassment by faculty is a widespread problem — one that the Utah Law Review found to be more prevalent than you might think? Did you know that some of your colleagues are working with dangerous chemicals and infectious agents, and are unaware of procedures for workers’ compensation coverage? Did you know that some of your fellow students have such a hard time surviving on their low wages that they run out of money before the end of the month, are eligible for Medicaid and foodstamps, and use the Pitt foodbank to make ends meet? Did you know that some of your colleagues work on one project for their dissertation and a different one for their Graduate Student Research position, and thus when they are encouraged to work more than the agreed upon 20 hours of work a week — unpaid, of course — this hurts their own academic progress and mental health? Speaking of which, grad students are more likely to have symptoms of depression — a UC Berkeley study found that nearly half of PhD students are depressed, and a recent population representative study in Belgium found that PhD students are at least 2 times more likely than other highly educated people to have depressive symptoms and to be at risk of psychiatric disorders. The primary thing I wish everyone knew: There is NO THIRD PARTY. Provost Beeson stated in her letter, “I feel the unique relationship graduate students have with their faculty, departments, and schools is not well suited to representation by a union.” This is the University’s attempt to make it sound as though grad workers will have representation by an outside third party unfamiliar with the issues we face every day. But the the truth is there is no third party. WE are the union! We the students in search of union have been working together and talking to fellow students. It’s a pretty simple ask — having a democratic say in our own work lives. There is no greater expert on the work life of grad workers than grad workers themselves. If we form the union, WE negotiate our own contract! That means YOU. Do you have things you can think of that would make grad life better? Join the organizing committee. We need your input. Please email me at Beth.Shaaban@pitt.edu if you would like to help and if you want your voice to be heard.